Plants thrive when they have the proper nutrients, moisture levels, and root environment, all of which can be affected by the compost you utilize. WeCare Compost incorporates a special blend of organic ingredients to improve the structure, porosity, and density of soil, creating a more beneficial environment for roots to form and grow strong. This compost also allows for high permeability and promotes infiltration so your plants’ roots can take hold and absorb the right amount of water for consistent growth. I n any garden, soil-borne plant pathogens—like viruses, bacteria, and fungi—pose a major threat to the health and expansion of your plants. Using WeCare Compost is can assist in keeping those threats at bay with slow-release macro- and micronutrients. By introducing only the most beneficial microorganisms, dangerous fungi can be suppressed. Cation exchange capacity, or CEC, describes a plant’s future ability to retain nutrients as they are introduced. 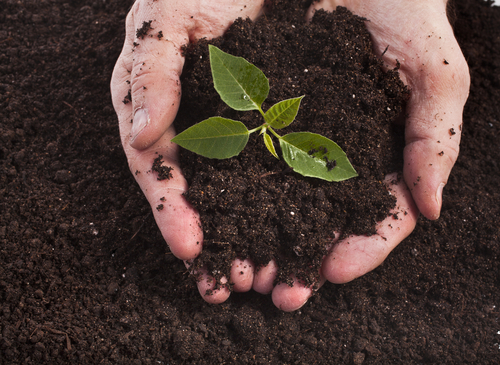 With WeCare Compost, you can improve and stabilize the soil’s pH level so the plant easily absorbs nutrients and retains the most benefits. With consistent use, your plants will grow faster and stronger, stretching every dollar you spend on landscaping materials. Finding the right plant care materials doesn’t have to be a hassle. If you’re interested in learning more about WeCare Organics through Denali Water Solutions—including how their compost will restore the vibrancy of your garden—visit them online or reach out to a representative at (315) 575-4595.